Flying in the face of critics who believed him incapable of cracking a smile, let alone cracking wise, Kanye West has been tapped to star in Spike Lee’s new musical comedy Chiraq. As Screen Daily reports, Yeezy will at long last get the chance to flex his under-appreciated LOL chops alongside a cast of Hollywood heavyweights, including Jennifer Hudson, Samuel L. Jackson, Jeremy Piven and John Cusac. Chiraq, which is written and directed by Spike Lee, will reportedly appropriate the classic Greek tale Lysistrata to unfold the story of a woman who wants to end gang violence in Chicago. It’s been slated for a 2016 theatrical release, but it’s too early in the game to tell whether or not the movie will be coming to Australian cinemas (although our bets are on YAS). 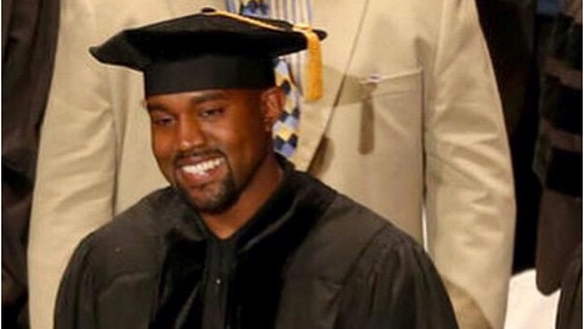 In other news, Kanye West is also a doctor now (sort of). Ye graduated with an honorary doctoral degree from the School of the Art Institute of Chicago today, something which made his wife, Kim Kardashian West, very proud. “Dr. Kanye West!!!!!!! I’m so proud of you baby & I know your mom would be so proud too!!! !” She tweeted. Will his next film role be a Patch Adams reboot? Only time will tell.